“Use a picture. It’s worth a thousand words.” This timeless expression first appeared in a 1911 Syracuse Post Standard newspaper article. 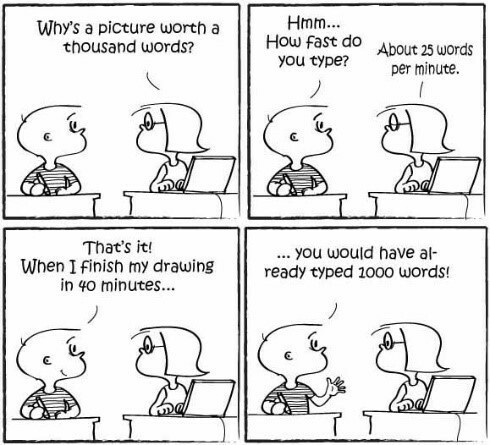 If you ask Mohamad Elgendi, he’ll say it’s more like 10000 words, based on how fast our mind processes words vs. images. Although true for almost everything, this phrase is becoming even more important in the sciences where data visualization is a necessity for clearly communicating complex and large data sets. The concept of data visualization is simple: it is the representation of data in a graphical or pictorial format. Creating effective data visualizations, however, is quite difficult. Scientists are often tasked with this challenge every day, whether by presenting their work to peers or to the general public through written and oral forms of communication. Data visualizations play a huge role in all of these outputs, so scientists should be pretty good at it, right? Most scientists would probably say they are decent at preparing figures and graphics for someone that is within their field of study. Beyond just the typical representations of data like bar plots, scatter plots, pie charts, and line graphs, different fields within the life sciences have created various types of plots for representing certain data. For example, protein sequence conservation is sometimes depicted in “sequence logo plots”. But these field specific data representations may not be appropriate for all audiences and branching out to create something that is both visually appealing and effective at conveying the proper message to the right audience is tough. There are multiple possible explanations for the gap in scientists’ ability to make effective data visualizations. The first is that we simply are not trained in art or graphic design. Additionally, scientists do not always have access to someone, such as a graphic designer, to collaborate with for making figures. Although there are efforts being made, such as this one at the University of Washington, that work to forge collaborations between science and design students. Another factor that introduces a hurdle to scientists making good data visualizations is time. First, a good figure requires a complete and thorough understanding of the data which can take a tremendous amount of time, particularly in the days of big data, where data sets are extremely vast and complex. Finally, it also takes time to create a figure. Creating a beautiful data visualization requires hours of training and working with unfamiliar software, such as Adobe Illustrator, that takes patience and persistence to master. So scientists need to improve their data visualization skills but it is often difficult to find the time to practice some of these skills. Some helpful beginners tips for data visualization are shown below because the goal is always the same. Figure out your narrative, or the story that you want to tell with the data. This requires a comprehensive understanding of the dataset you aim to represent along with the an understanding of your audience. Determine the best way to represent the data. This sounds easier than it actually is and could take some time making and comparing multiple different types of figures. Again remember the story and the audience. the visual appearance of the graphic. 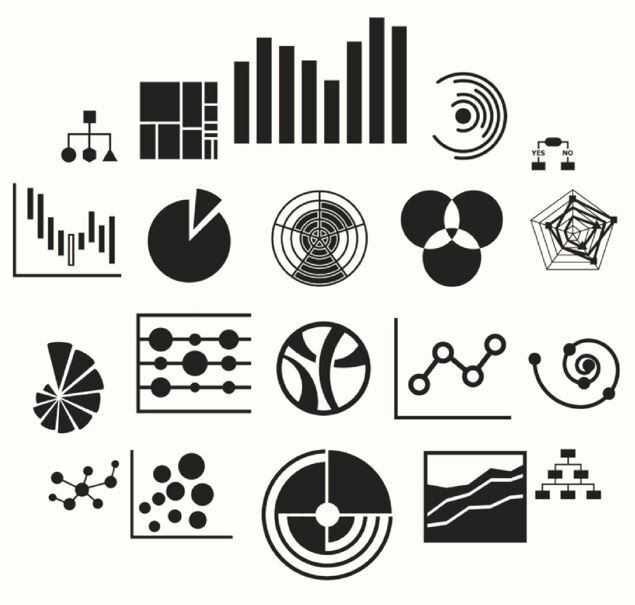 This document highlights data visualization specifically for the life sciences and Nature has compiled a collection of articles related to design. Get feedback from everybody. Before finalizing a data visualization make sure to get feedback from multiple people with different backgrounds. Ensure they all interpret the data as you aimed to present it. And, as most things are not perfect the first time, refine and remake until you create your ideal data visualization. Nearly every scientist hopes to turn the ideas in their head into a beautiful work of art, similar to this process of going from sketch to infographic. It takes time, patience, and practice to develop these skills. 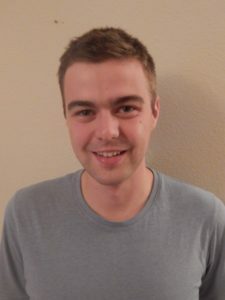 If you are a scientist looking to enhance your data visualization skills consider taking an online course, reading up on data visualization, practice making figures from some largely accessible datasets or for your colleagues, entering a contest such as the NSF Vizzies Challenge, or attending a conference or workshop. Peer edited by Alex Mullins. 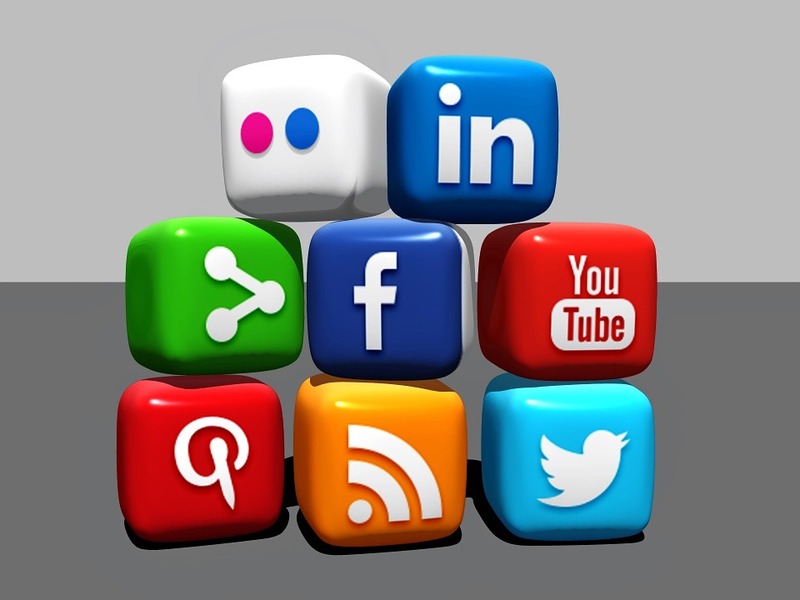 Social media has become a ubiquitous part of our lives, completely changing the way we share information and connect with others. As scientists, we would be remiss to not combine the opportunities that social media presents with traditional mentoring strategies to improve scientific communication and inspire the next generation of researchers. One of the most important advantages of social media is that it fosters communication between people from all walks of life on a familiar and comfortable platform. This can therefore open a line of communication between scientists and students, encouraging a meaningful and mutually beneficial discourse. Wielded correctly, social media could inspire a new generation of scientists by fostering an environment of exploration, rational discourse, and critical thinking. We cannot ignore the important role social media plays in the development of children and students in today’s digital society. In a culture of celebrity worship, where ideas and opinions can spread globally in an instant, pseudoscience can grab a foothold dangerously fast. Jenny McCarthy’s anti-vaccine crusade has contributed directly to a devastating rise in measles cases. Kyrie Irving’s support of the “flat Earth” conspiracy highlights the danger of scientific illiteracy. Kim Kardashian’s paid endorsement of Diclegis, a morning sickness pill, prompted the FDA to issue a warning letter to drug maker Duchesnay USA for misleading patients and omitting any information regarding the risks of the drug. When these misinformed opinions and pseudoscience are presented to such a large audience, they can pose a major threat to public health and scientific literacy. We can help to stem the tide of these uninformed ideas by utilizing social media as a tool to foster conversations between scientists and students, from grade school to university level. Social media supports the exchange of opinions and ideas and students could benefit enormously from communicating with scientists by being encouraged to think critically about what they read and developing their own informed opinions. Additionally, having the ability to interact with scientists on familiar and comfortable social media platforms could reduce the feeling of intimidation (page 38) that they may feel towards researchers. By increasing the number of scientists adept at social media and cultivating thoughtful and critical conversations with students, we can encourage the next generation to think critically about what they read in the news, which could eventually stop dangerously misinformed opinions from gaining momentum and spreading across the social media universe. There are, of course, challenges to creating an open environment for scientific discourse between the research community and the general public. Celebrity culture is a behemoth with an established global audience, and we therefore need a rapid and exponential increase in the number of scientists properly proficient at navigating the various social media platforms. This involves presenting their ideas in a respectful, interesting, and non-intimidating way that is easily understandable and not heavy with technical jargon. One particularly powerful tool for this is a personal narrative, which has been shown to help communicate science to non-scientists. Simply providing data and facts are unlikely to convince a skeptical audience or engage young minds, but the skillful use of culturally appropriate storytelling and a personal narrative will help students feel personally invested and reduce the likelihood of your argument being automatically discounted. Since the majority of the general public gets their science information from narrative formats, engaging students on this level could help them gain both understanding and enthusiasm about the world of scientific research. Both young and established scientists absolutely need to develop an online presence to engage with students and laypeople in thoughtful discussion about current research. Fostering an open discourse between students and scientists using social media and personal narratives could be immeasurably beneficial to society by promoting engagement in the scientific enterprise, encouraging critical thinking and forming verifiable conclusions, and inspiring the next generation of scientists. Class Cephalopoda is home to some of the most intelligent and mysterious critters in the sea. Including species of octopus, squid, cuttlefish and nautilus, cephalopods are a type of mollusk that have have lost their hard outer shells. Cephalopods get their name from the Greek word “kephalópoda” meaning “head-feet”, because their arms encircle their heads. Both squid and cuttlefish are known as ten-armed cephalopods because they have eight short arms and two long tentacles (as opposed to eight-armed cephalopods like octopuses). You surely recognize the sly octopus and the charismatic cuttlefish, but how much do you really know about this class of invertebrates? Squid and cuttlefish may look similar, but don’t be fooled. For a quick way to tell the two apart, watch them move underwater. Squid are fast-moving predators, where cuttlefish are slower and move by undulating long fins on the sides of their bodies. If that doesn’t work, check out their eyes: squid have round pupils, where cuttlefish pupils are W-shaped. And perhaps the easiest indicator of all? Squid have sleek, torpedo-shaped bodies, compared to the broader, stout body of the cuttlefish. Class Cephalopoda is home to one of the most venomous creatures on earth. The blue-ringed octopus’ venom is 1,000 times more powerful than cyanide, and this golf-ball sized powerhouse packs enough venom to kill 26 humans within minutes. It produces a potent neurotoxin called tetrodotoxin, a potentially deadly substance also found in pufferfish. The venom is produced by symbiotic bacteria in the animal’s salivary glands and is more toxic than that of any land mammals. So, what happens if you’re bitten by a blue-ringed octopus? First, the venom blocks nerve signals throughout the body, causing muscle numbness. Ultimately, it will cause muscle paralysis—including the muscles needed for humans to breathe, leading to respiratory arrest. If you ever encounter this blue and yellow beauty, back away in a hurry—its bite is usually painless, so you might not know you’ve been bitten until it’s too late. 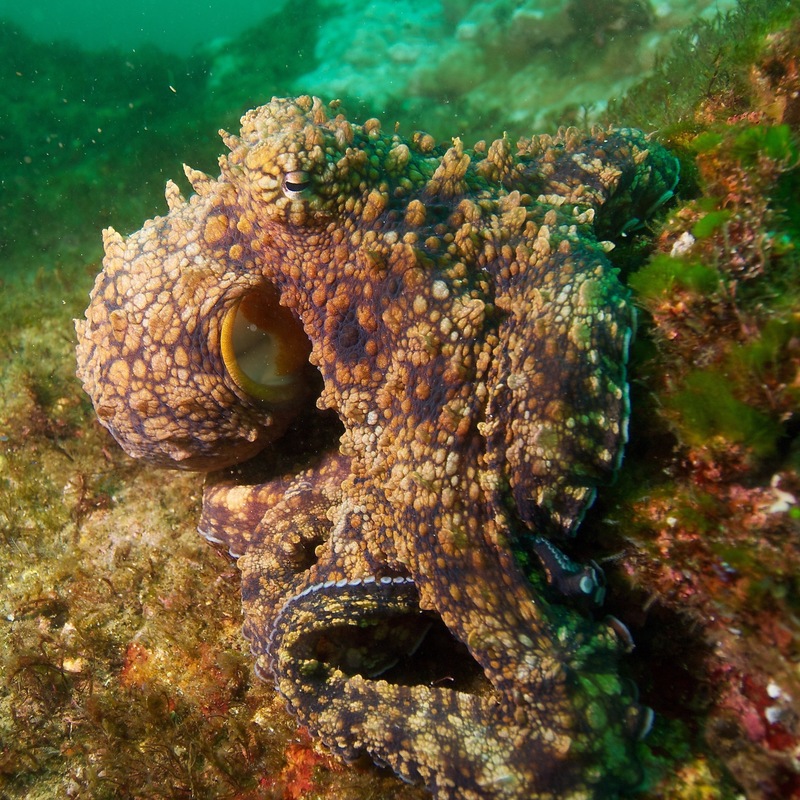 Octopuses are smarter than you think. When we think of animal intelligence, it’s vertebrates like dolphins and chimps that get most of the credit. But make no mistake—the octopus holds its own in a battle of wits. 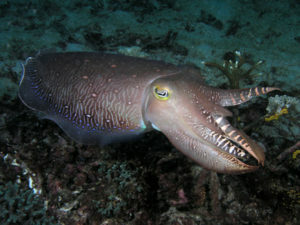 Cephalopods have large, condensed brains that have sections entirely dedicated to learning, a trait that is unique among invertebrates. Octopuses’ brilliant problem-solving abilities have been documented time and time again; for example, the infamous Inky the Octopus who slipped through a gap in its tank in a New Zealand aquarium and slid down a 164-foot-long drainpipe into Hawke’s Bay. There’s also evidence octopuses have personalities, and react differently based on how shy, active or emotional they are. There you have it! Now, go out and impress your friends with your knowledge of these quirky and intriguing invertebrates! It is no secret that many STEM fields, especially physics and engineering, suffer from a lack of equal representation by race, ethnicity, and gender. Approximately 75% of all physics degrees go to white scientists, and 80% of those degrees to go men. While much of the work in inclusivity in STEM has focused (for good reason) on women and racial/ethnic minorities, there is also an underrepresentation of scientists from rural geographic locations. A common problem contributing to the lack of diversity in science is the lack of diverse role models and representations of scientists in the media. Other factors involve the complex intersection of socioeconomic status and access to resources like textbooks, science equipment, and high-speed internet. Because the internet is both an avenue for information transfer and a platform for seeing diverse role models, the importance of internet access cannot be overemphasized in its impact on fostering inclusivity in STEM. Resting at the crux of the diversity in STEM problem and lack of internet access is rural America. In an effort to make science accessible to geographically diverse populations and thereby attract as many talented students as possible, scientists should advocate for wide-spread, affordable, high-speed internet access for all. While the diversity buzzword has generated a lot of press recently, many in the science community and beyond still roll their eyes at diversity efforts and question the utility of programs aimed at increasing diversity in STEM merely for diversity’s sake. But, it turns out that including diverse perspectives actually makes you do better science: diversity improves problem solving, makes your papers more likely to be cited, makes you prepare stronger arguments, and prevents groupthink. With so much evidence that diversity is good for science, it is unequivocally in our best interest to foster inclusive environments and make science accessible to as wide a range of people as possible. But, to make science accessible, we must first make internet accessible. 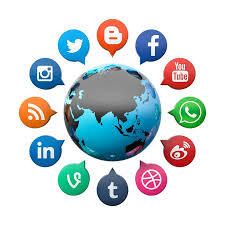 Over the past decade, the internet has quickly morphed into an absolute necessity for modern living. Bills are posted and paid online. Retail is moving online. Even brick-and-mortar stores now use internet services to process credit card payments or digitally cash checks. And of course, the internet has become the main avenue for information transfer. Schools post assignments online and online information repositories have replaced physical textbooks in many schools. Science news is largely disseminated via Facebook, Twitter, online radio streaming, online journals, podcasts, and Youtube. 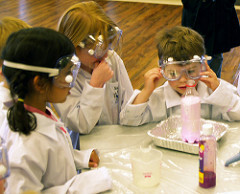 Google is an invaluable tool for the student of science at any education level. Scientific journals necessary for professional science are increasingly moving from print to online formats. Social media connects scientists around the world. In addition to being essential for learning science, the internet is also a crucial tool for finding diverse representations of scientists. Diverse representation of scientists is vital because when it comes to role models, seeing is believing. Growing up without internet access and only local tv programming, the only scientists I could name were Albert Einstein and Bill Nye the Science Guy. With the advent of social media, users now have access to online communities like the National Society of Hispanic Physicists and the #BlackinSTEM community. For students without ready access to online media, their access to scientific role models and science resources will be severely restricted. This may be a contributing factor to the underrepresentation in STEM of students from rural areas where high-speed internet is unavailable. In 2016, the Federal Communications Commission (FCC) defined broadband internet as 25 Mbps download speed and 3 Mbps upload speed. According to that same report, roughly 10% of Americans lack access to those speeds. Of the 10% lacking access, 70% live in rural areas. Put in the context of the total population of rural Americans, this means that about one-fourth of all rural Americans lack access to high-speed internet. Further, this report merely addresses the availability of high-speed internet without taking into account the prohibitive costs for many consumers. The true accessibility of high-speed internet depends not only on having the infrastructure in place, but also on imposing regulatory pricing so that high-speed internet is affordable everywhere. 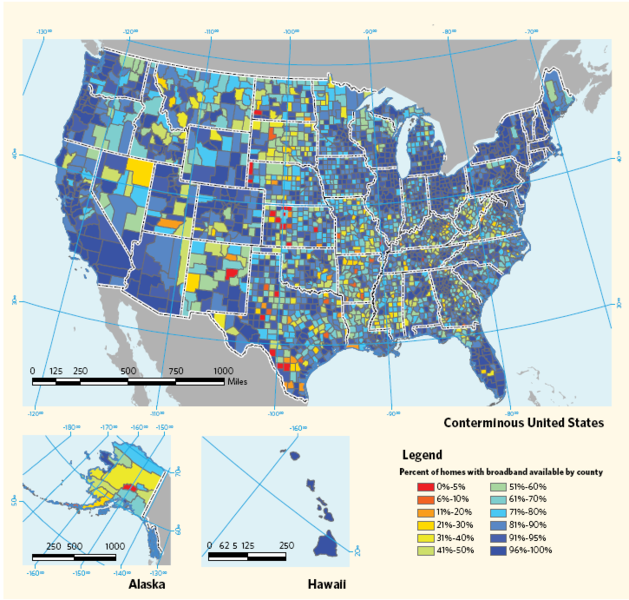 The reason high-speed internet is unavailable in so much of rural America is simply because it is not cost-effective for the internet service providers to install the infrastructure in areas with low population densities. Even in well-established cities, you don’t have to go very far to find that internet availability has suddenly disappeared. At my apartment in Carrboro, I can access up to 400 Mbps internet services. (Again, whether or not anyone could ever afford to pay for 400 Mbps is another story.) Just 12 miles away, outside the city limits of Hillsborough, my father has access to only 3 Mbps speeds no matter how much he is willing to pay. With speeds this slow, video streaming is impossible and even surfing the web quickly becomes frustrating or impossible. Certainly areas which lack high-speed internet access have a significant handicap in the dissemination of science information, resources, and models. While there are probably many reasons factoring into the lack of geographic diversity in STEM, one of them is not that students from rural areas are inadequately prepared for STEM classes at the collegiate level. According a 2007 report by the U.S. Department of Education, students in rural areas performed as well as or slightly better on standardized math and science tests as compared to their peers in urban and suburban areas in grades 4, 8, and 12 (pgs 50 and 54 of that report). However, at the college level, rural students are severely underrepresented in STEM fields, and this under-representation may have grown worse in recent years. This implies that science is suffering by not attracting talented students from diverse geographic locations. One of the barriers preventing rural students from entering STEM fields is the lack of high-speed internet access in rural areas. Because the internet is not being treated as a utility, there is currently no federal mandate that high-speed internet access be made available nationwide. Further, internet is not subject to the same federal ratemaking regulations as are electricity and natural gas to prevent providers from suddenly introducing huge rate hikes. Some companies such as Microsoft have publicized long-term plans to implement the infrastructure needed to make high-speed internet available in rural areas, but progress is difficult to see. Until then, some rural communities have taken matters into their own hands and are building their own community broadband networks. This progress is slow and relies on individual communities having the resources to individually finance their internet infrastructure installation. If we really want to increase access to science and foster diversity in science, scientists should turn some attention to making high-speed internet accessible and affordable for all. Peer edited by Jon Meyers and Sara Musetti. The 2017-2018 SWAC executive board would like to give a big thank you to our 2016-2017 board members who retired their positions this year! The last academic year was a huge success and we could not have done it without you. These board members worked hard behind the scenes to enhance The Pipettepen and ensure the blog is an awesome source of training for our members and information for our readers. We wish them well in their future ventures. 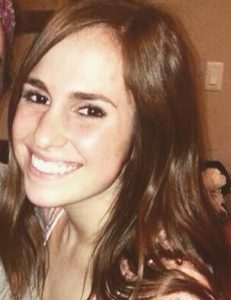 In her role as VP/Chief Editor, Deirdre ensured that all posts were publication ready and kept the blog up-to-date. 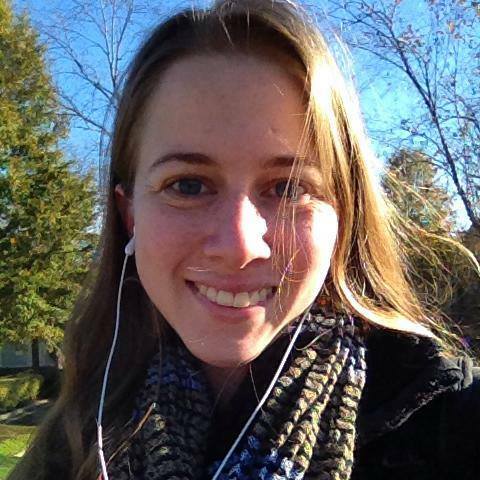 She consistently coordinated with both writers and editors to edit and publish all articles. As Content Editor, Rachel worked closely with the writers of The Pipettepen. She maintained an excellent blogging rotation and was an extremely value resource for authors in need of inspiration. 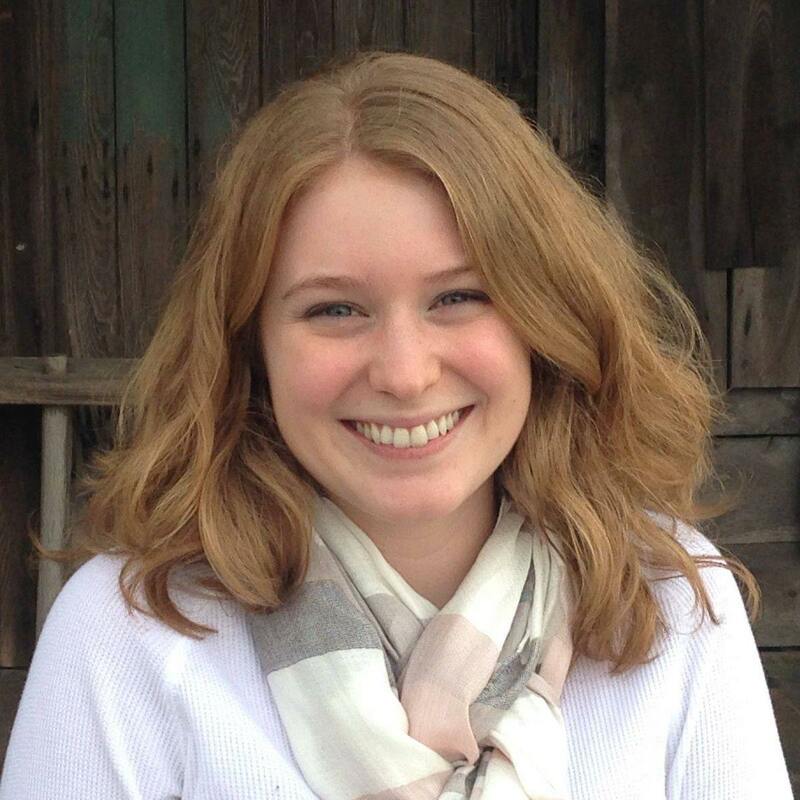 As Editorial Coordinator, Zan worked closely with The Pipettepen editors to assign appropriate editors to each piece. Even during her thesis defense, Zan worked hard with the blog editors. As Treasurer, Erika did an amazing job of handling finances and budgeting for SWAC events. She also applied for and was awarded SWAC’s first outside funding source. We wish everyone luck in their new ventures and positions! As scientists, we strive to communicate complex ideas to diverse audiences while seeming both confident and enthusiastic. No wonder public speaking can be overwhelming and fear-inducing. Could we all be better communicators if we practiced our improv skills? 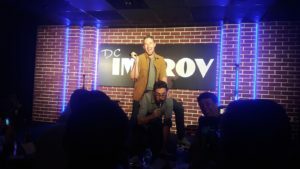 Improvisation comedy can help you learn to better communicate through thinking fast, trusting yourself, and connecting with your audience. Six-time Emmy award winning actor Alan Alda says yes. 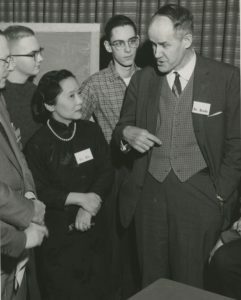 Alda hosted Scientific American Frontiers for 14 years, where he interviewed cutting-edge scientists. He saw so many scientists lapse into jargon-filled lectures that left the audience behind that he saw the need for scientists to be better communicators. He started a center at Stony Brook University in New York where he teaches doctors and scientists how to talk about complicated ideas. 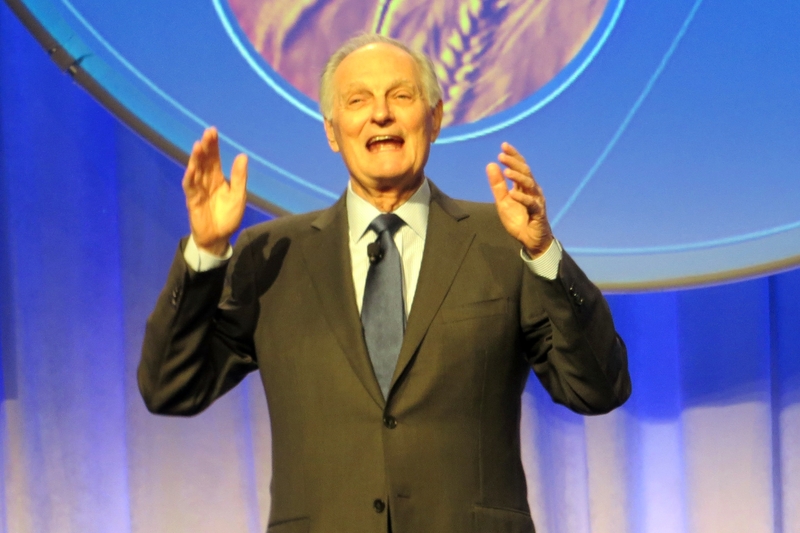 Alda insists that improvisation skills will not change scientists into comedians, but will teach them to communicate better by thinking fast, trusting themselves, and connecting with their audience. Here are some tips that Alda teaches scientists to improve their communication skills through improv. Avoid using jargon or buzzwords. This one seems obvious, but it is easier said than done. Alda calls it “the curse of knowledge.” Scientists know so much about a particular research subject that it’s easy for them to forget what it’s like to be a beginner and slip into jargon. At the 2017 World Science Festival, Alda and comedian Tina Fey hosted a workshop where a scientist explained their research while Tina Fey held a buzzer. Every time Fey didn’t understand, she pressed the buzzer and the speaker had to think of a new way to explain the concept. Try this exersice with a friend or family member who isn’t familiar with your research. Pay attention to your audience. Alda explains that improv exercises are all dependent on observing other people. As a young man, Alda made a game of looking into the faces of people and trying to read their minds based on their facial expressions and body language. He said this was remarkably helpful in allowing him to understand other people. When you are able to read your audience, you will connect with them, and you can tell if they understand you. Nonsense will clear things up. As scientists with a fear of embarrassing ourselves, we feel pressure to say exactly the right thing. But Alda explains that much of communication is your tone of voice, the look on your face, and your body language. An exercise he suggests is to practice your entire presentation in gibberish. 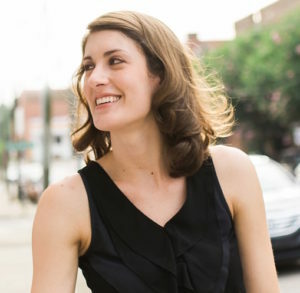 This helps you prepare to speak in public because it forces you to improve your nonverbal communication, to engage with your audience and to be more expressive with your body language. Alan Alda started the Center for Communicating Science at Stony Brook University for scientists to learn to communicate with the public. Conquer fear through failure. 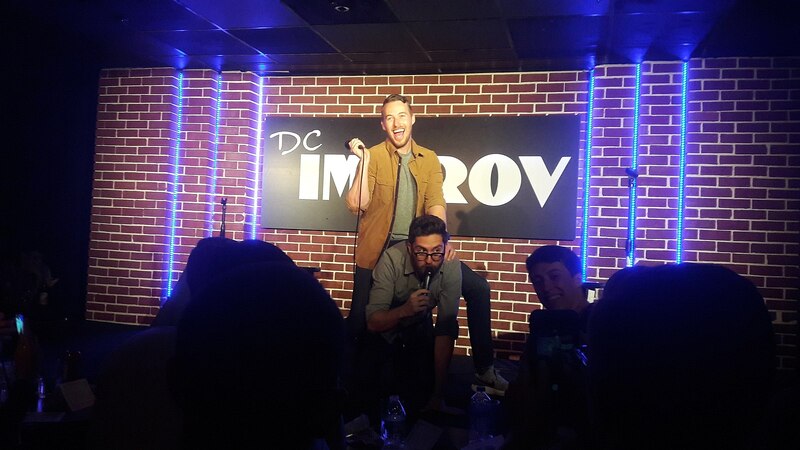 Improv teaches you to abandon your fear of embarrassment. Or maybe it just teaches you that if your worst fears come true, you will get through it and live to see another day. Overcoming your fear of embarrassment will not only make you a better public speaker, but will allow you to be more assertive. As scientists, we have stories to tell. 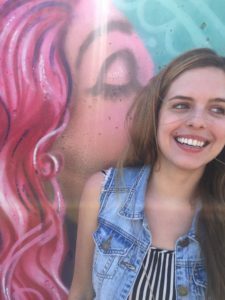 Alda’s main point is that improv can teach us to connect with our audience and tell them our story in a way that is understandable and relatable rather than spraying them with information, which will make us all better science communicators. Peer edited by Amanda Tapia. 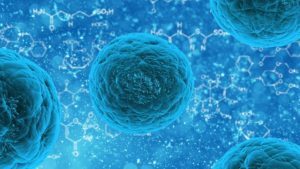 Earlier this year, scientists from the Belmonte lab at the Salk Institute (La Jolla, CA) reported the first successful grafting of human stem cells into pig embryos. In other words, they were able to merge human stem cells with a nonhuman embryo to create an organism called a chimera. Chimeras usually contain genetic information from two or more sources. They need not be man-made or interspecies; an example of a naturally occurring chimera is a fetus that incorporates genetic information from a deceased twin (a condition known as tetragametic chimerism). But in order to create a synthetic, interspecies chimera, the genetic material from the donor species must be compatible with the host’s genetic material. For experts in the field of synthetic biology, this announcement may signal the first step towards the goal of growing transplantable human organs in animals. But such research might be contentious, especially when the human genome is involved. Ethical issues, such as the creation of mammals with human-like intelligence or human reproductive organs, are currently at the forefront of debates. Reflecting public and expert concerns, the National Institutes of Health (NIH) placed a moratorium on the use of federal funding for this kind of research in 2015 before lifting it in the fall of 2016. However, privately funded research in this area is unrestricted (such as the Belmonte lab’s work). Thus, the use of synthetic chimera in biomedical research will only continue to grow, and separating the science from the science fiction will be increasingly crucial. Prior research in 2010 by Kobayashi and coworkers at the University of Tokyo focused on merging pluripotent stem cells (PSC) from rats into mouse embryos. Their goal was to grow a rat pancreas in the mouse host. PSC are ideal for chimera creation as they can turn into a wide variety of specialized cells, which in turn can give rise to organs. However, this method of using PSC to create full organs runs a high risk of randomness – PSC may not become the desired organ. To get around this problem, Belmonte and coworkers used a relatively new genetic tool, CRISPR-Cas9, to “turn off” the gene in mice that leads to pancreatic development. When the researchers injected the rat PSC into their mice embryonic hosts, they were able to create mice with a functional pancreas. Thus, Belmonte and coworkers were able enrich chimerism for the rat-mouse system, potentially allowing biologists to translate this method to other synthetic mammalian chimeras. Belmonte and coworkers then attempted to translate their work into a mouse-pig donor-host system, but were unsuccessful due to different evolutionary lineages between the species and gestation times. Taking a step back, the researchers decided to focus on closer mammalian relatives – pig and cattle. Belmonte and coworkers decided to test the viability of human PSC (hiPSC) towards generating human-animal chimerism. They developed specialized hiPSC and implanted these cells into pig and cattle embryos. The researchers found that a very low amount of human cells were incorporated into the embryos (approximately 1 in 100,000 cells). With these results, they concluded that the current method for generating human-pig chimeras is highly inefficient. Consequently, this method is unsuited for the construction of human-like organs. The organs harvested from the pig hosts were, essentially, pig organs. They contained a high percentage of animal tissue, despite the incorporation of human cells. Using these organs in humans would very likely lead to organ rejection. 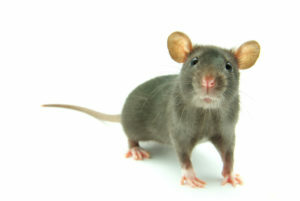 Belmonte and coworkers hypothesized that a large evolutionary distance between humans and pigs may be responsible for the difficulties with this system, citing the relatively close genetic lineages between mice and rats as being crucial to the success of the mouse-rat chimera. Since the gestational differences between human and pigs are vastly different (9 months vs. approximately 112 days respectively), the embryonic cells may be developing at different rates, potentially leading to lower hiPSC counts. However Belmonte and coworkers plan to apply the CRISPR-Cas9 technique toward the human-pig chimeras to boost the presence of human cells. Individuals troubled by the ethics of synthetic chimeras can breathe easy for now, as fully functional human chimeras still exist in the realm of science fiction. But as research in this burgeoning field continues, science fiction may very well become fact. However, given the difficulty of moving from rat-mouse chimeras to human-pig chimeras (a process that took 10 years), applications of this basic research may take some time to realize. Nevertheless, it is crucial for the scientific community and the broader public to be informed and to communicate on this piece of exciting science. Peer edited by Julia DiFiore and Kaylee Helfrich. Communication in the written form is frequently accompanied by helpful graphics or attractive pictures. They help the writer explain a point or keep the audience interested. Dissemination of scientific information relies heavily on the use of illustrations to “be a graphical interface between people and data.” If someone is quickly reviewing an article, they may only skim the abstract and examine the figures. Often, these figures incorporate colors to enhance visual contrast and increase appeal. However, about 5% of the population has limited color vision, commonly known as color blindness. This condition limits a person’s ability to discern certain colors, effectively reducing their visual contrast in certain circumstances. Red-green color blindness is by far the most common type of color vision deficiency and is usually found in males. It follows an X-linked pattern of genetic inheritance, meaning that the DNA responsible for encoding this trait is located on the X-chromosome. Males have one X-chromosome and one Y-chromosome, whereas females have two X-chromosomes. About 8% of females are “carriers” because they have one X-chromosome encoding for color blindness, but their other chromosome allows them to have non-affected vision. Red-green color blindness arises from defects in one of the three variants of cone-shaped cells (cone cells) in the eye’s retina. Cone cells contain photopigments that are responsible for our ability to distinguish different wavelengths of light, or different colors (red, green, and blue). Faults in the cone cells responsible for red and green color detection lead to loss of color information and conditions known as protanomaly and deuteranomaly, respectively. These conditions affect everyday activities, like selecting ripe fruit, choosing a color-coordinated outfit, locating the presenter’s laser pointer dot, or deciphering a journal article. 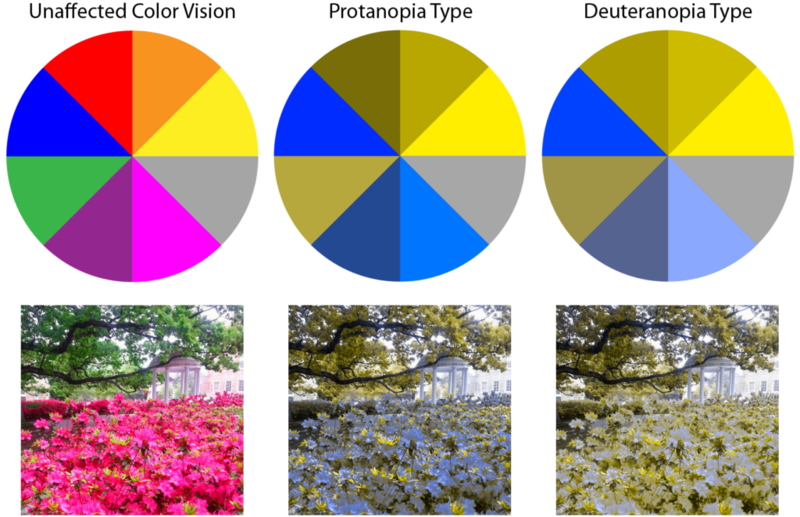 Three color wheels (top) and pictures (bottom) displaying the differences in color perception for people with unaffected vision and those with protanopia and deuteranopia. When communicating information with figures, it is important to remember that some individuals have difficulty discriminating between red and green. This handy blog post is full of tips such as recommended color palettes (blue and orange or magenta and turquoise) and combinations to avoid (green with red, brown, blue, or black). Another way to enhance the accessibility of graphics is to use textures (e.g. dashed lines and patterned fill) as opposed to colors. Adobe Illustrator, available for UNC students, allows you to preview your design as it appears to a person with color vision deficiency. Additionally, apps are available for Android and Apple devices to help with this problem. These apps name colors on your screen and use a “daltonize” algorithm to alter the colors in a given image for optimal visualization. So, next time you are making a figure for a paper, presentation, or flyer, take a look through someone else’s eyes. Peer edited by Nicole Tackmann. The March for Science has drawn widespread support from a community anxious about the state of science under the new Trump administration. But while many are strongly in favor of such a march, the event has spurred a debate among scientists about what the role of the scientist should be in politics, and if holding a march is even a good idea. The March for Science is scheduled to take place on April 22 (Earth Day), with a central march planned for Washington DC, along with more than 250 smaller satellite marches occurring around the world. On the event website, March for Science organizers state that their goals are to humanize science, partner with the public, advocate for accessible science, support scientists, and affirm science as a democratic value. There is also clearly an underlying motivation to push for more scientifically driven policy decisions in the US government. Initially proposed in a Reddit thread discussing the removal of references to climate change from the White House website, organizers of the March for Science have since made efforts to craft the event as more apolitical; more pro-science than specifically anti-Trump. Still, there have been several vocal objections to scientists participating in an organized protest in DC. Notably, the Independent reported that a former science advisor to President Obama, Dr. James Gates, was concerned about the possibility of violence at the march and that having scientists speaking on political issues may do more harm than good. Perhaps most visibly, Dr. Robert Young, who is the director of the Program for the Study of Developed Shorelines at Western Carolina University, wrote an op-ed in the New York Times last month in which he argued that the march “will serve only to trivialize and politicize the science we care so much about.” Rather, Young has proposed a strategy of greater engagement at the local level, with the goal of educating the public about who scientists are and what is involved in their work. Whether the March for Science is labelled as political or apolitical on its surface, it represents a pervasive anxiety among scientists that has peaked since the inauguration of President Trump, and it is by no means the only example of scientists recently raising their voices. This anxiety has come on the heels of several executive actions that many have interpreted as threatening the future of science in the US. Executive orders, such as the now infamous travel ban, directives to dismantle regulatory laws protecting ground and surface water, as well as orders to freeze grants and rumors of significant budget cuts at the EPA, have set off alarms in the scientific community. In response, scientists from around the country have organized protests, penned letters to congress and the president, and published strongly worded statements against the Trump agenda. The tone and content of these protests depict a community with a range of concerns. There is an obvious frustration that human caused climate change and environmental protection continue to be partisan political issues. But there is also a deeper concern that the role of science in society is neither well understood, nor fully appreciated. Clearly, the debate over what responsibility scientists have as advocates for science in government and society is just getting started. Though it may be difficult and contentious, it is a vital discussion to have. The success or failure of the March for Science does not necessarily depend on how political it is or isn’t, but on what comes after. Scientists face an obvious problem with how large portions of the population lack a strong understanding of science, its role in their lives, or how it can help us progress as a healthy, equal, and secure nation. The only way to combat misinformation and populism is through education and engagement. If the march motivates more scientists to reach out to their communities, to teach, to write, to make art, and to run for office, then in my opinion it will be an outstanding success. Peer edited by Mikayla Armstrong and Manisit Das. Every day the media bombards consumers with different recommendations regarding the amount of food to consume, important micronutrients to keep in mind, and general advice about what you should be putting into your body. It can be difficult, regardless of background, to discern which of these recommendations are worth following and which seem excessive. One such popular suggestion that permeates healthy living blogs and websites is the “8 by 8” rule regarding the consumption of water: drink eight 8-ounce glasses of fluid a day. This rule has been disseminated and repeated over and over, to the point that many have accepted it as fact without considering that it is unfounded. More recently, many articles appeared to debunk this guideline, due in part to a recent research article published in August 2016, titled: “Overdrinking, swallowing inhibition, and regional brain responses prior to swallowing”. 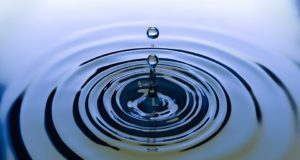 The researchers of this study wanted to better understand the mechanism of restoration of fluid balance after a fluid deficit, since typically the volume a person drinks in response to thirst matches the fluid lost. They postulated that the fluid balance is controlled in part by swallowing being inhibited once a person reaches an overhydrated state. The results of their study showed there is an inhibitory mechanism that can limit excessive drinking in humans; participants in an overhydrated state reported that the effort needed for swallowing increased, in comparison to their previous state of thirst. The main conclusion of this study is that the body self-regulates hydration, and it is important to listen to the signs. If you feel thirsty, drink; if you don’t feel thirsty, don’t drink. Although this study’s sample population was rather small (20 individuals), and the results were self-reported, these findings are important to consider, particularly since there is no research that supports the “8 by 8” rule. Furthermore, as more research is finding, most health recommendations should be administered on a case-by-case basis. 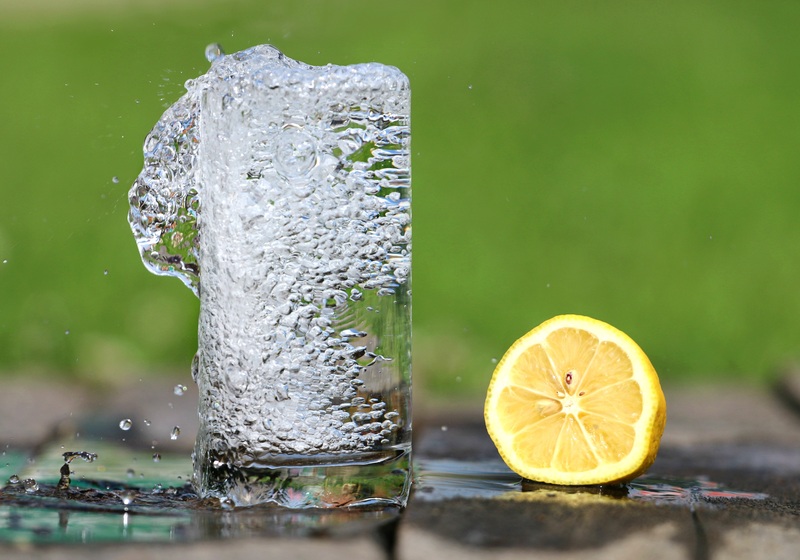 It cannot be denied that consuming water is important, since water makes up about 60 percent of a person’s body weight and is a necessary chemical component for many of the body’s reactions to maintain homeostasis. Water is responsible for flushing out toxins, carrying nutrients to cells, moistening tissues, and myriad other important functions. However, it is critical to be wary of blanket recommendations, since overdrinking is a serious health risk that can lead to a condition called hyponatremia. Hyponatremia causes symptoms that range from nausea, vomiting, and confusion to seizures and coma. When navigating health guidelines that saturate the internet, one must consider their origin and most importantly if there is scientific evidence to support the claims made. Even when considering guidelines put forward by seemingly reputable entities, it is important to examine the evidence. Many nutrition-based recommendations, including those concerning daily water intake, are determined by a group of individuals who are not necessarily scientists. These dietary recommendations are sometimes not even based on any scientific evidence but are put forward as fact, and recommended daily water intake is a perfect example of this phenomenon. A quick google search of the recommended daily water intake shows a plethora of blogs and articles from non-scientific sources. One of the only “.org” website that appears is the Mayo Clinic’s page, which cites the Institute of Medicine’s recommendation, which is similar to the “8 by 8” rule: 1.9 liters of water a day. Upon further investigation, in 2004, the Institute of Medicine put forward a publication with a daily recommendation of 2.7 liters of water for women, and 3.7 liters of water for men. The dietary reference intake emphasizes that this is a recommendation and not a specific requirement, because, again, there is no scientific indicators that support any specific daily volumetric intake of water. This begs the question, what does one do when the scientific community seems unable to discern the necessary daily water intake? 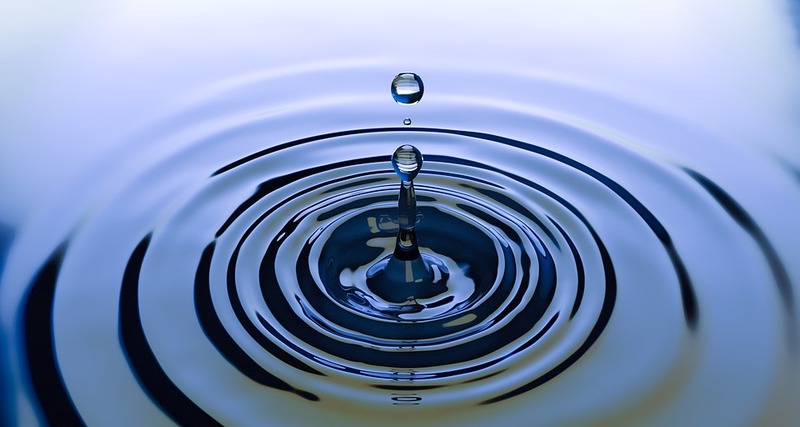 It seems whatever research does exist on the mechanism of fluid balance shows that the body knows what’s best and signals when things are awry. In other words, when you are thirsty, drink! Peer edited by Joanna Warren and Laurel Kartchner.